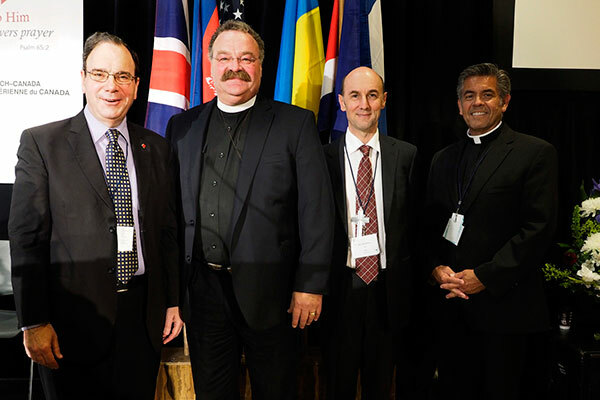 VANCOUVER – Lutheran Church–Canada was pleased to welcome several international guests to its 2014 National Convention. Attending the convention on behalf of their church bodies were President Chul-Hwan Kim of the Lutheran Church in Korea, President Vannarith Chhim of the Evangelical Lutheran Church of Cambodia (ELCC), Bishop David Altus of the Lutheran Church of Australia (LCA), President Matthew C. Harrison of The Lutheran Church—Missouri Synod (LCMS), and Rev. Dr. David Wendel of the North American Lutheran Church (NALC). On Saturday, delegates were privileged to hear from Bishop Altus, who conveyed the greetings of national LCA Bishop John Henderson. Bishop Altus also gave the devotion at Monday morning’s session. On Sunday, President Harrison brought greetings from the LCMS, and Dr. Wendel expressed gratitude on behalf of the NALC and its Bishop John Bradosky for the growing friendship between the North American Lutheran Church and Lutheran Church–Canada. President Chhim brought greetings from Cambodia on Monday morning. 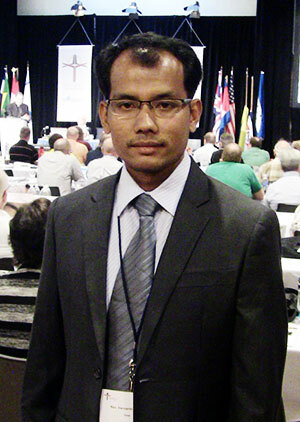 The convention also welcomed letters of greeting from the Anglican Network in Canada as well as other Lutheran church bodies from India, Japan, Chile, Canada, England, Germany, and Ukraine.